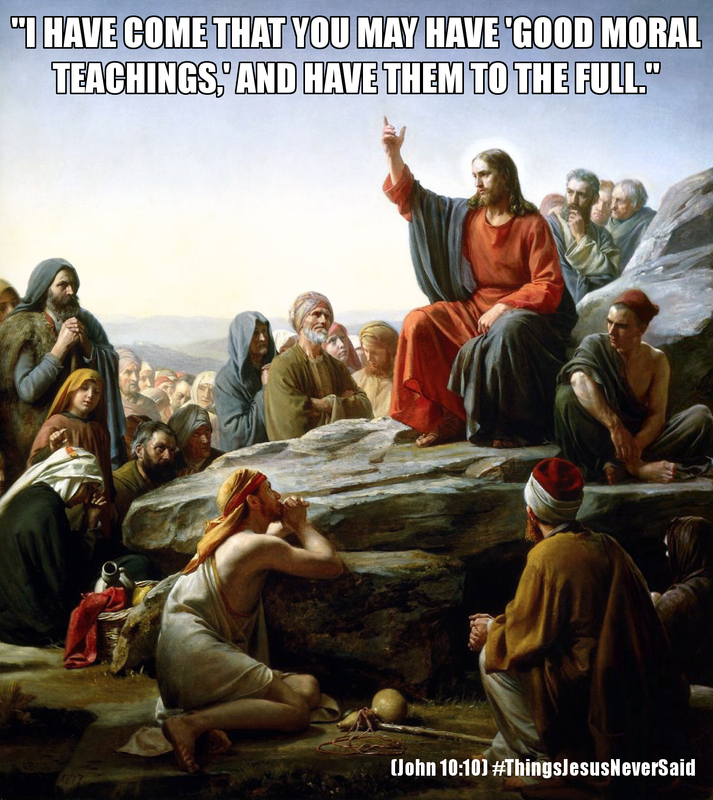 For those who think all Jesus ever really wanted to be was a “good moral teacher,” if only it weren’t for us Christians who keep insisting he was something more. For the real verse, see here. For more of my memes, including some more things Jesus never said, see God of Evolution.